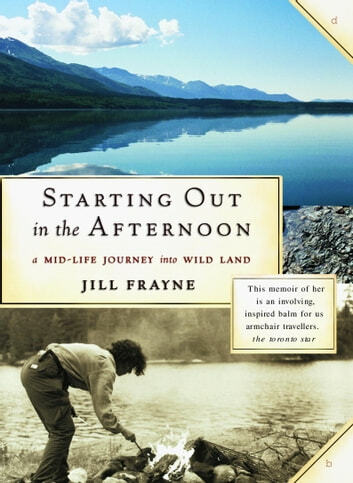 Jill Frayne’s long-term relationship was ending and her daughter was about to graduate and leave home. She decided to pack up her life and head for the Yukon. 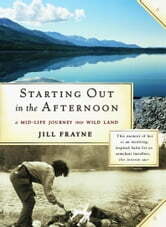 Driving alone across the country from her home just north of Toronto, describing the land as it changes from Precambrian Shield to open prairie, Jill finds that solitude in the wilds is not what she expected. She is actively engaged by nature, her moods reflected in the changing landscape and weather. Camping in her tent as she travels, she begins to let go of the world she’s leaving and to enter the realm of the solitary traveller. From there she heads north, taking ferries up the Inside Passage and using her bicycle and tent to explore the wet, mountainous places along the way. Again, she feels self-conscious when alone in public, but once she strikes out into nature, the wilderness begins to work its magic on her, and she begins to feel a bond with the land and a kind of serenity. Moreover, she comes to realize that this self-reliance is an important step. Many travel narratives involve some kind of inner journey, a seeking of knowledge and of self. Set in the same part of the world, Jonathan Raban’s A Passage to Juneau ended up being “an exploration into the wilderness of the human heart.” Kevin Patterson used his months sailing from Vancouver to Tahiti to consider his life in The Water in Between, while the Bhutanese landscape worked a profound transformation on Jamie Zeppa in Beyond the Sky and the Earth. In This Cold Heaven, Gretel Ehrlich chose not to put herself into the story, but described the landscape with a similar hunger and intensity, while Sharon Butala has written deeply and personally about her physical and spiritual connection with the prairies in The Perfection of the Morning and other work. Not as good as I had been led to believe. Kind of choppy in my opinion.